It’s slippery. It’s slurpable. It’s spaghetti! 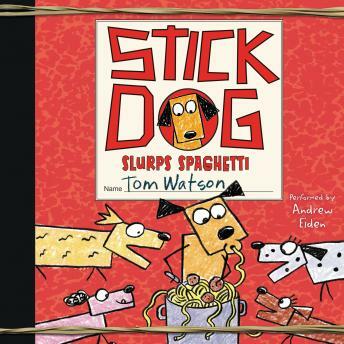 Perfect for fans of Big Nate, Diary of a Wimpy Kid, and the previous Stick Dog books, Tom Watson’s hilarious Stick Dog Slurps Spaghetti is not to be missed.